As for images of the car, the spy shots we delivered earlier were accurate. Also, the speculation regarding the specifications of the car turned out to be almost 100% accurate also. Pricing starting at THB 524,000 and finishing at THB 694,000 seems to be spot on, considering the specification on offer. As soon as I get to meet the 2009 City, I will be sure to share my first impressions. I don't often do this, but since I haven't managed to get my hands on the City yet, here is a posting of the official Honda press release that accompanied the launch of the car yesterday. 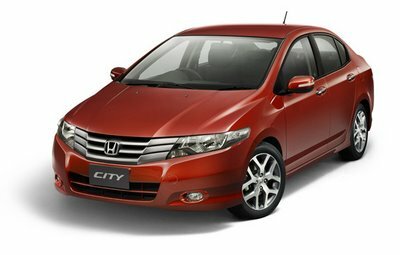 BANGKOK, Thailand, September 10, 2008– Honda Automobile (Thailand) Co., Ltd. (HATC), Honda's automobile production and sales subsidiary in Thailand, today began sales of the all-new CITY. *2 Thailand, Philippines, Malaysia, India, Pakistan, China, Turkey.